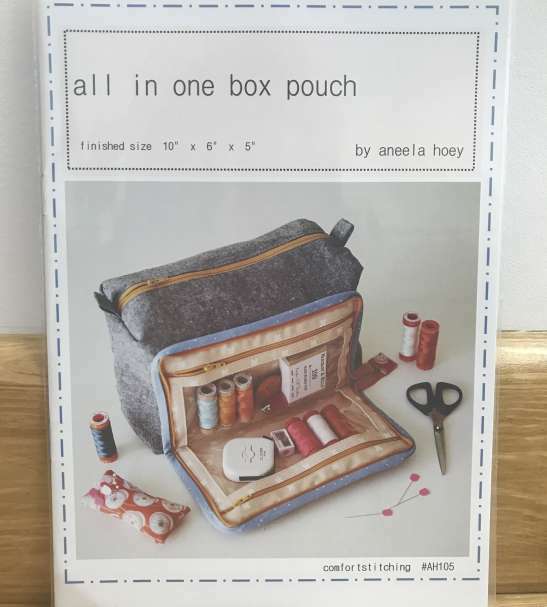 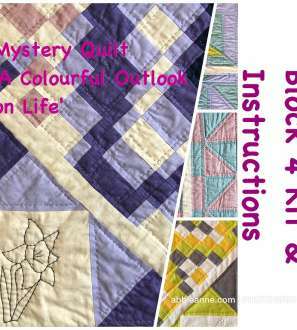 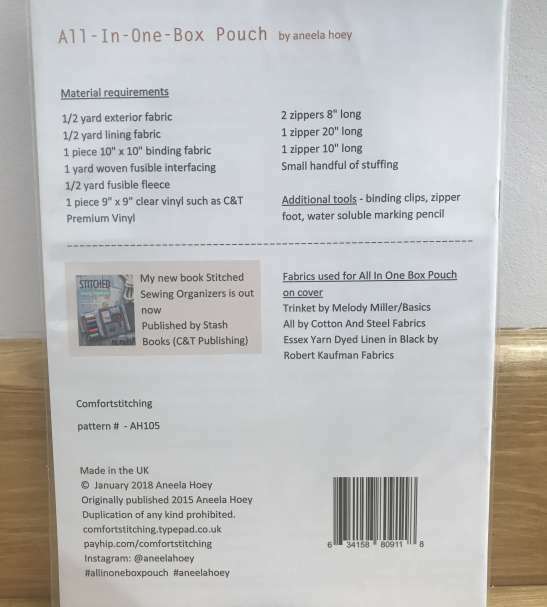 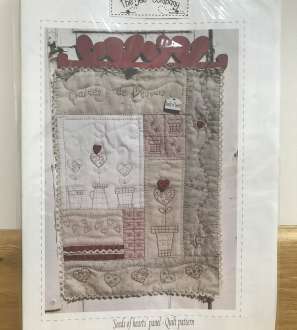 All in One Box Pouch Pattern by Aneela Hoey. 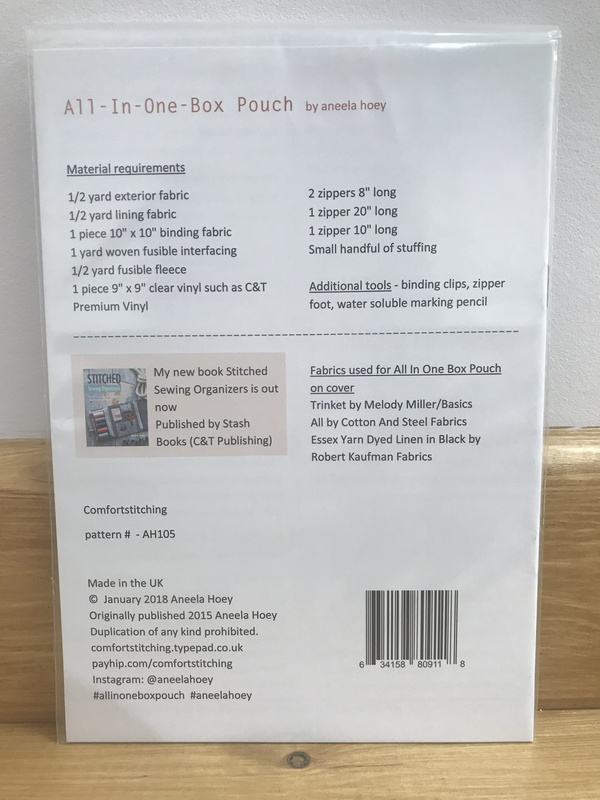 Front pocket with two clear vinyl zippered pockets; folds down to show contents at a glance. 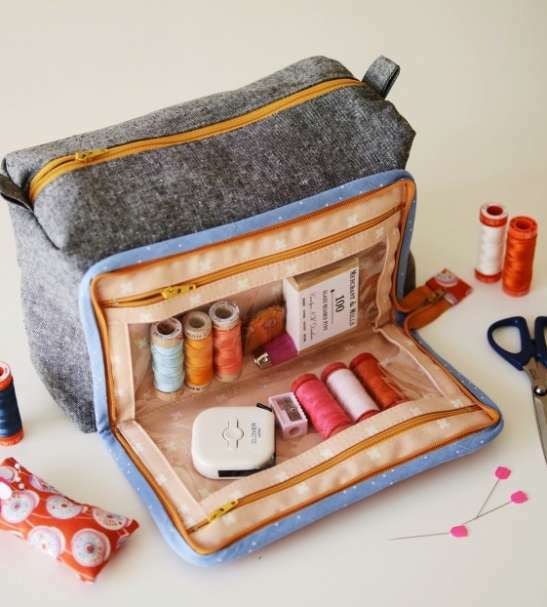 Back pocket is super handy to keep scissors, pincushion etc. 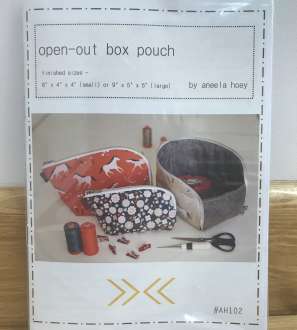 within easy reach as you sew. 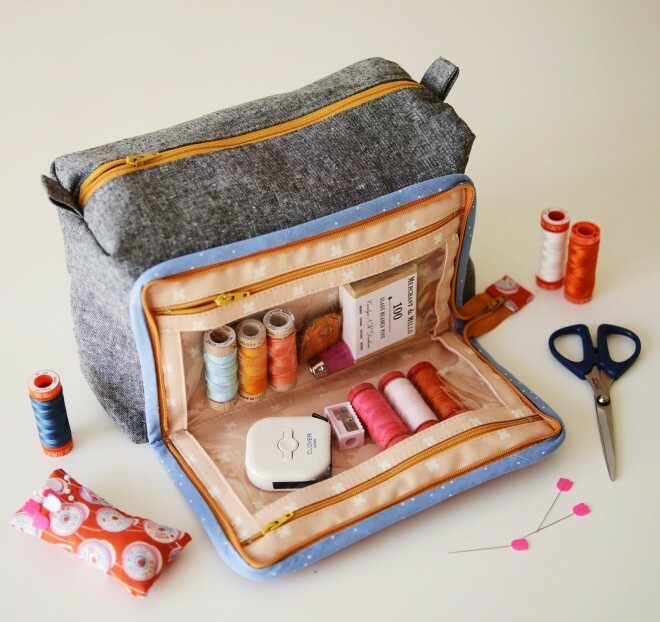 Great to use for sewing, knitting, kids toys, travel and more. 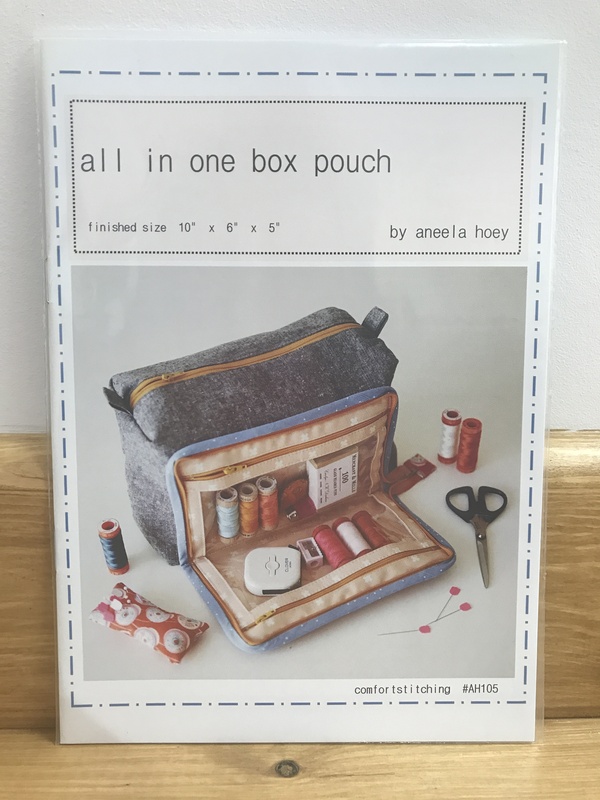 Pattern is packed with illustrations and step by step instructions.